Energy is on author David Nabhan’s mind, and in The Pilots of Borealis, it’s on the mind of a lot of his characters too. What do they all know about energy that you might not? The author explains below. The Pilots of Borealis is many things: a study in athleticism and strength, experiencing a world of the future that still trucks in the sins of the past, and survival, by any means necessary. 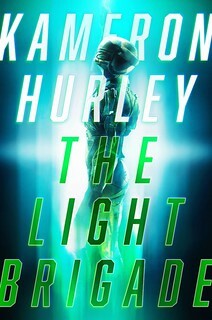 However, what I hope to tackle in this novel, the concept that drove me to explore a world fueled by dwindling Helium-3 and sub-zero lunar dog-fighting, is actually an idea that’s existed since the day the universe exploded into being: energy, and the things people will do to have it and to keep it for themselves. Historians always a make a point to describe what exactly wars are fought over: fertile fields and plains, mighty timberland, mineral-rich terrain, rivers and oceans and more. However, one thing I always found interesting is that there is never any focus on what goes into those resources after they’ve been conquered, accrued, or won; how many hours go into plowing a fertile field? How much lumber will a lush forest reveal? How many fish can one catch in a given day? Having the resources isn’t enough; one must work the resources and tame the land, in order to show any yield for a given material. The human race had a rough yet intrinsic understanding of the ways the Earth had to be fashioned to provide life, first with muscle power, then beasts of burden, harnessing wind, water and gravitational power. The greatest empire of the ancient world, Rome, at its height conducted its business on the backs of five million slaves, watered its cities with thousands of miles of gravity-powered aqueducts, employed tens of thousands of water-wheels and wind capturing devices for flour and saw mills, hydraulic mining, marble quarrying, irrigation for farming, and for transportation by sea. It is said that coal and the steam engine produced the Modern Age, and that’s hard to deny. But there is nothing that altered the world as dramatically as the incredible changes wrought by petroleum. One gallon of gasoline contains energy equivalent to roughly three weeks of human labor. There is nothing else like it on Earth, liquid power to be transported at ease, shaped to fit any container, making it the most strategic material in the world. 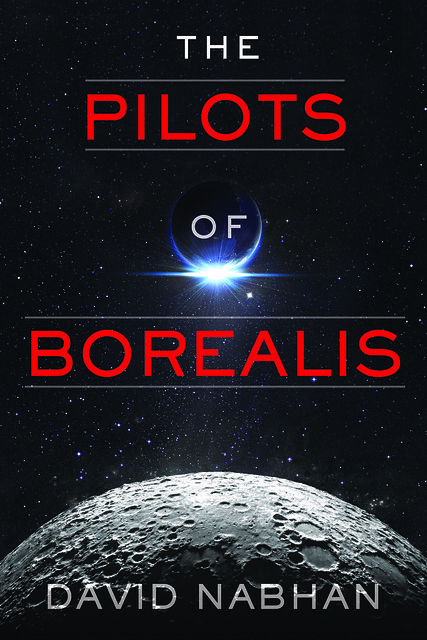 The Pilots of Borealis doesn’t take up the story here though. 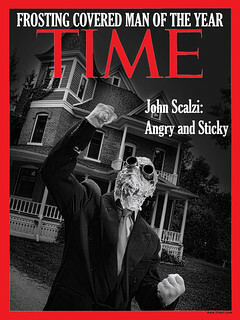 It picks up after the horrific wreckage of four Petroleum Wars. It’s the twenty-fifth century, and gasoline is useless and primitive. Humans haven’t changed much, even though their civilizations now stretch out to Titan. And instead of clashing arms over earth-bound material, the sabers are now rattling for a resource that is running low, one that feeds the countless fusion reactors that make everything go, from the Alliances on Earth, to the Jovian Colonies and further: Helium-3. Infused into the regolith of the Moon, this rare commodity now spawns a ruthless death struggle between the great powers, desperate to protect what they consider is their rightful share. And yet, the big idea here, the underlying conceit throughout all of The Pilots of Borealis, is actually that, regarding energy, we’re utterly clueless. For the human race to wring its hands about the next great energy crisis is tantamount to fish worrying about when and how they might die of thirst. They are awash in a sea of water, and we are just so, but in an unfathomably extensive ocean of energy; aware of it, yes, but unaware of how to tap into it. Our very universe was born in a blinding flash of pure energy. Before there was anything, there was light in its most ferociously radiant essence. The characters of Pilots of Borealis exist in this beautiful, light-filled universe, fighting over a dwindling resource when the real secret exists all around them. These characters strive, fight, prevail, succeed, fail—and sometimes die—without ever realizing the truth around them. Ultimately, they must come to realize the nature of the universe in which they live, but only after paying a price that makes all previous choices pale in comparison. But what will they do with this knowledge? And how will they move forward, and survive in an ever-changing universe? We are, indeed, children of the universe. But that universe is not one of just matter, but also one of pure energy, too. And I think that deserves some more thought, don’t you? Visit the book site. Learn more about the author. Follow him on Twitter. Er, there’s just one problem: Helium-3 isn’t all that rare. You can find it on the surface of the Moon or any other rocky body in the Solar System. So it is coated over every asteroid (including many that require less delta vee to get to than the Moon) and a really rich vein of it is on the surface of Mercury. And if we start running short, we can “mine” it by placing giant plastic sails into space and letting them catch the He-3. Lunar 3He is an idea space crazies came up with in one of their desperate attempts to find a useful resource present in space that isn’t easier to obtain on Earth. It’s not particularly common on the Moon, on the order of parts per billion. Unfortunately for the premise of this novel, gas and ice giants have rather a lot of helium and about one part in ten thousand of that helium, if I recall correctly, is 3He. In fact, the old BIS Project Daedalus proposed getting 3He from Jupiter. Jupiter isn’t the only giant world, either. I’m curious, I confess; I do not see a lot of resource-conflict novels.